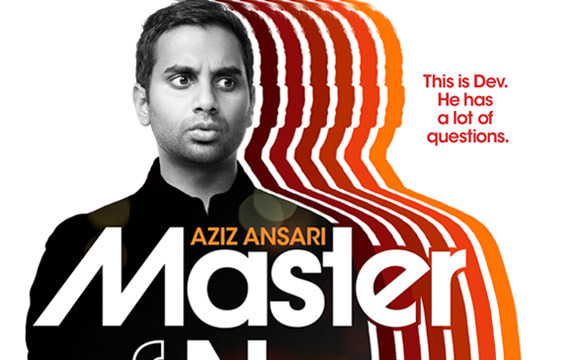 David Hepworth's blog: The music is another good reason to watch Aziz Ansari's "Master Of None"
The music is another good reason to watch Aziz Ansari's "Master Of None"
Enjoying Aziz Ansari's new Netflix series "Master of None", which couldn't be more contemporary. The choice of music – Beach House, Kurt Vile, The War On Drugs, Father John Misty, Michael Kiwanuka and so on – literally and metaphorically underscores this. Last night I watched the episode where he hooks up (it's the world of hooking up) with Claire Danes. I'd never heard the play-out music before. I couldn't date it but the voice sounded familiar. Surely it couldn't be Eric Burdon. It was. "Cheating" by the Animals didn't even get on their 1966 album "Animalisms" but it was a bonus track on a recent reissue. Now, like Chris Stainton's riff from "Woman To Woman" which lay in obscurity until Tupac's "California Love", and Badfinger's " Baby Blue" which had its moment in the sun over forty years after release as the last tune in "Breaking Bad", "Cheating" comes blinking into the light thanks to the patronage of a young actor who doesn't have a clue who the Animals were and doesn't need to. Why are television and film producers so much better at picking something because of the vibe, as Ansari explains here, than radio people are? Often soundtracks serve as reminder. When I snoozed through “Seven Psychopaths” a little while ago, right at the last knockings The Stone Poneys woke me up with “Different Drum.” Always liked it, hadn’t heard it forever and had totally forgotten about it. I was was also surprised, but really shouldn’t have been, to hear America’s “Sister Golden Hair” in an episode of The Sopranos. Not quite the latest Smashie and Nicey fabster grooves, perhaps, but I like ’em. On it goes and who knows, one day I might hear another Tony Jackson era Searchers tinkling away in the background. “Sugar And Spice” being the only one I’ve heard so far. Cracking track. Used to play this on the Clock Tower cafe juke box in the mid 60's all the time. It was the B(etter) side of Don't Bring Me Down. Haven't heard it for years. Wonder how he happened across it? Have you seen Breaking Bad, David? I'd love to hear your opinion if you have.